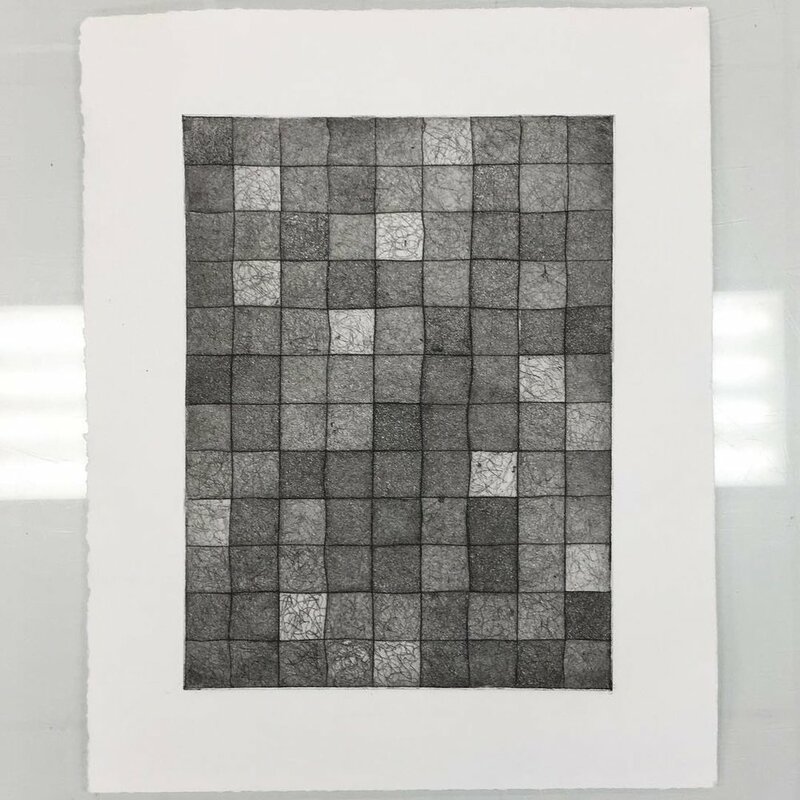 These eight prints were created from a single intaglio zinc plate. 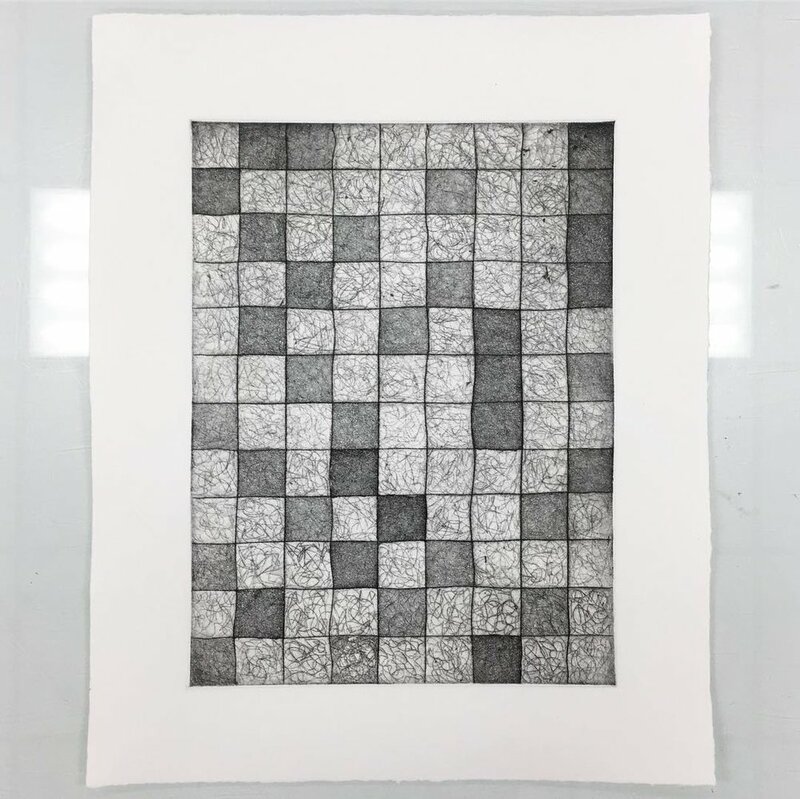 The grid was filled with scribbled lines at 10 seconds per square. 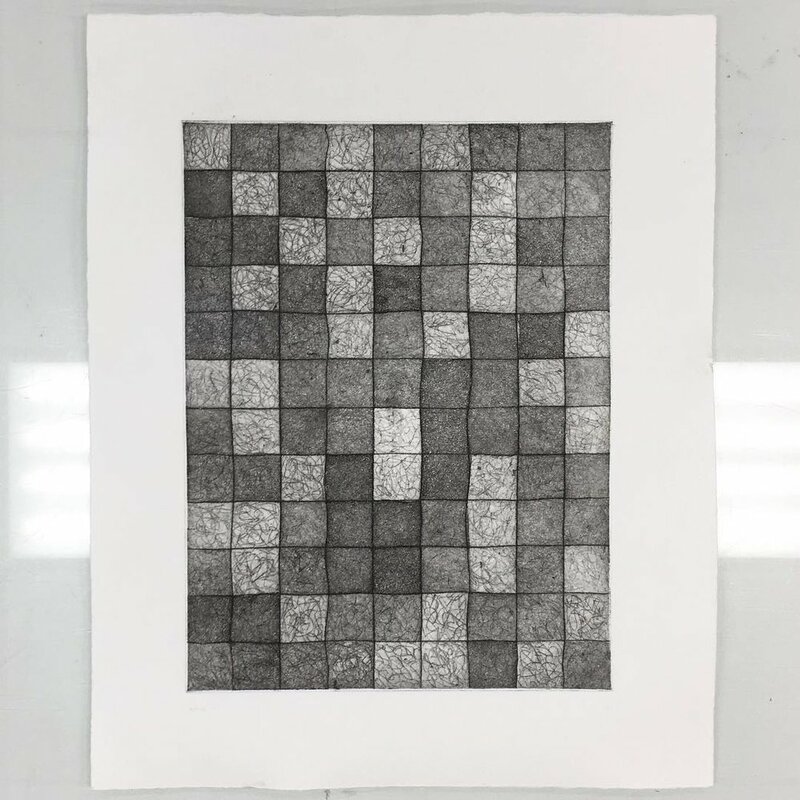 A collaborator was asked to choose one square from each row that they responded to. 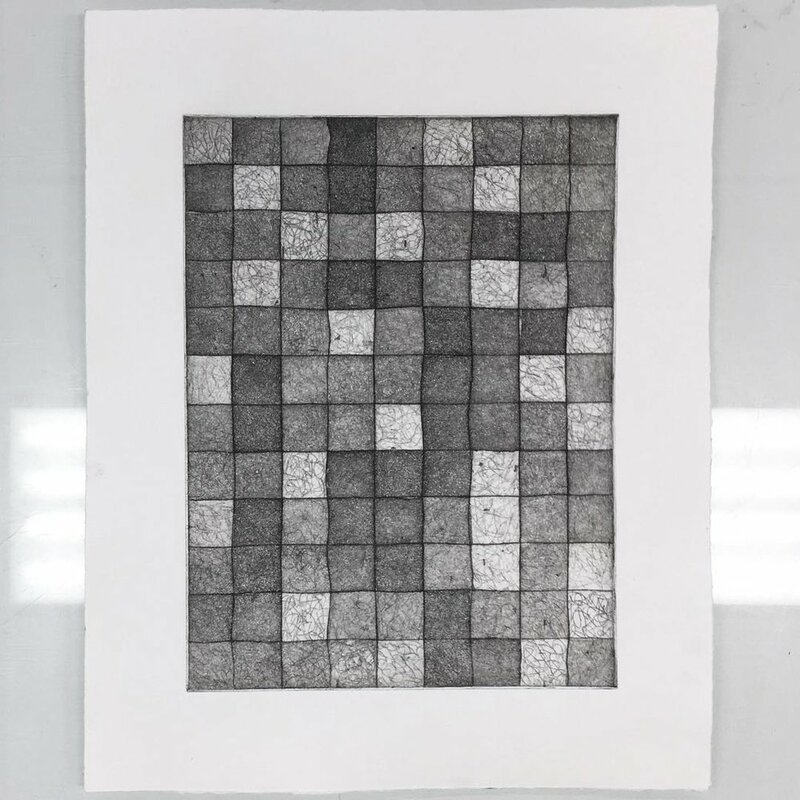 Their chosen squares were then blacked out through a process called aquatint, the print was reprinted and then a new collaborator repeated the same process. This continued until only one square from each row remained, showing the most rejected square from each row.